TF1 is a private national French terrestrial and satellite television channel which was the only channel in France for 28 years and has often changed its name since the creation of Radio-PTT Vision on April 26, 1935, making it one of the oldest television stations in the world, and one of the very few prewar television stations to remain in existence to the present day. Flagship international series on the channel include CSI, The Voice and House M.D. TF1, owned by TF1 Group, is a French private TV channel as well as the largest European private TV channel. 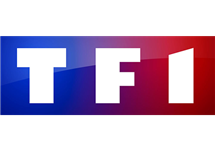 The TF1 channel is part of the TF1 Group of media companies, which also includes the news channel LCI and Eurosport, the largest European sports network. TF1 Group is an integrated media group with a range of businesses in high-growth segments. Its corporate mission is to inform and entertain. In freeview television, the Group's channels are TF1 (the major events channel, no. 1 in France), TMC (no. 5 in France, and no.1 digital terrestrial channel), NT1, and HD1. The TF1 Group is also present in pay TV with Eurosport, TV Breizh, Ushuaïa TV, Histoire, Stylía and LCI. The TF1 group's activities span the entire value chain in the broadcasting industry. 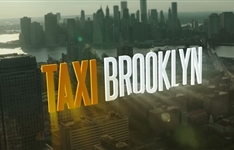 Summary: Taxi Brooklyn is a French-American action-comedy police procedural television series based on the film Taxi written by Luc Besson and developed for television by Gary Scott Thompson, Stephen Tolkin and Franck Ollivier centered on the fractious, closely bonded partnership between a streetwise Marseilles-born New York City taxi driver and an intensely driven NYPD detective for whom this immigrant cabbie becomes chauffeur, insider on the streets and unofficial partner.